"Works well for several timekeepers"
It's nice that everyone can input information simultaneously, without affecting the other timekeeper's entries. Definitely more effective/efficient than a spreadsheet when you have multiple people working on the same files consistently. The billing records are cleaner, it's easier to keep track of where all the time goes and how many hours are being billed per person per day, which makes it a lot easier to track billing and productivity. "Takes Some Getting Used to But a Very Thorough System"
The multitude of features is great. It is more than just a time-entry system. The contacts functionality is intuitive and easy to update. From there, initiating conflicts checks is also easy. On the backend, the ability to see nearly real-time accounting data, like payments received, A/R balances, and distributions, is really helpful, though implementation of it took a little while. The desktop version is a little clunky. As a Mac user, I must fire up MS Remote Desktop before I can get into the app (which I suspect is seamless on PCs). But the iPhone app makes up for that. It is extremely helpful to have the ability to enter time immediately through the iPhone app while onsite with clients. And, at least it can be used with Macs. As our firm has doubled in a relatively short period of time, the need for a more comprehensive time-entry system that tied back to our accounting systems and provided visibility to all partners 24/7 was key. It was a bit of rocking rollout, but most partners, including me, now love it. And even those who had some issues had them, I suspect, because there was just so much functionality and a lot to learn. I like the ease of choosing a time frame for tracking billable hours. The Smart Timers are a major inconvenience, having to make sure I stop one before I start another. What I dislike the most about the program is that it does not have a mobile app and that would be helpful if you work from home or the car. * We monitor all Orion reviews to prevent fraudulent reviews and keep review quality high. We do not post reviews by company employees or direct competitors. Validated reviews require the user to submit a screenshot of the product containing their user ID, in order to verify a user is an actual user of the product. Hi there! 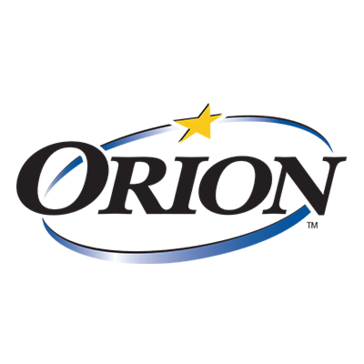 Are you looking to implement a solution like Orion?